Kane, MB grain elevator, July 2005. Contributed by Pat Scrimgeour. There is one grain elevator remaining in Kane, Manitoba. It is a former N.M. Paterson grain elevator. 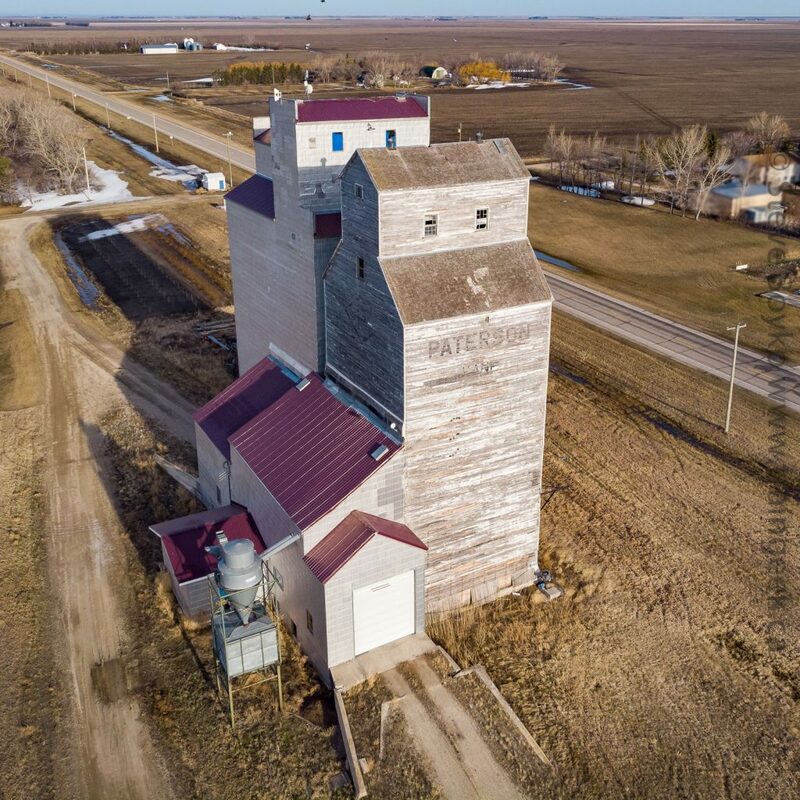 Aerial view of the Kane grain elevator, April 2019. Contributed by Steve Boyko. Kane.. the Spirit Lives On. April, 2014. Contributed by Steve Boyko. 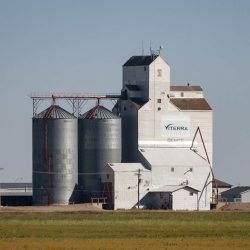 The first Kane grain elevator was built in 1918 by the Interior Elevator Company, which became part of N.M. Paterson in 1920. This elevator burned down in 1947 and a new one was constructed on the same site in the same year. That elevator is the bare wooden portion of the current elevator. 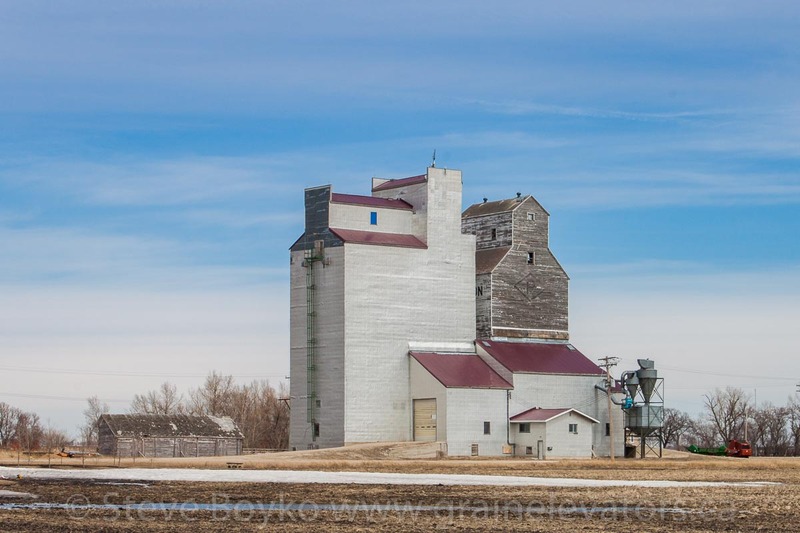 Kane, MB grain elevator, April 2014. Contributed by Steve Boyko. 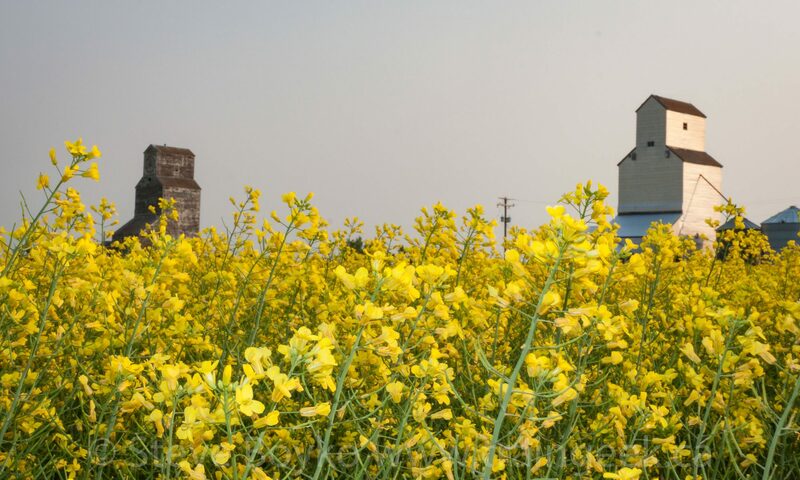 The second Kane grain elevator was built by the Canadian Consolidated Grain Company in 1919 or 1920, and it was later acquired by UGG. It had two annexes at one point. It was demolished on August 9th, 1996. 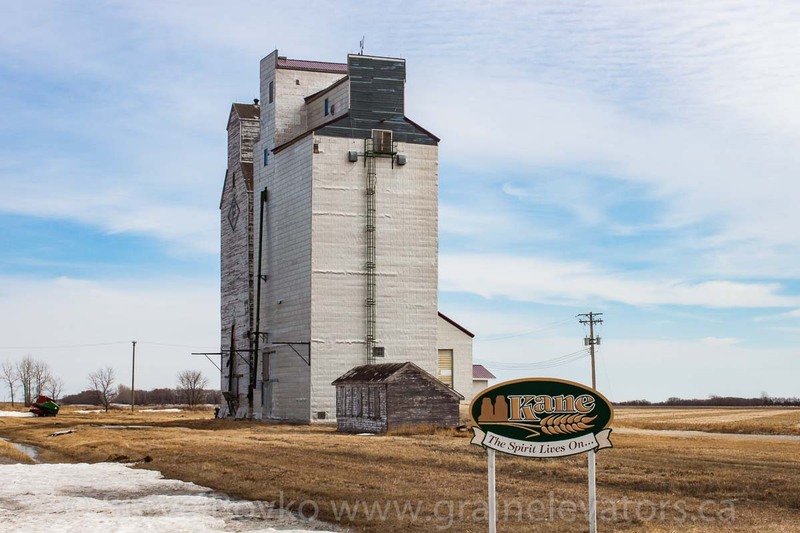 The newer portion of the Kane grain elevator was the second-last wooden grain elevator to be built in Manitoba, in 1981. Kane was located on the CN Miami subdivision, which was served by the Southern Manitoba Railway from 1999 to 2007 when the rails were removed. The former rail land is now owned by the Regional Municipality of Morris. 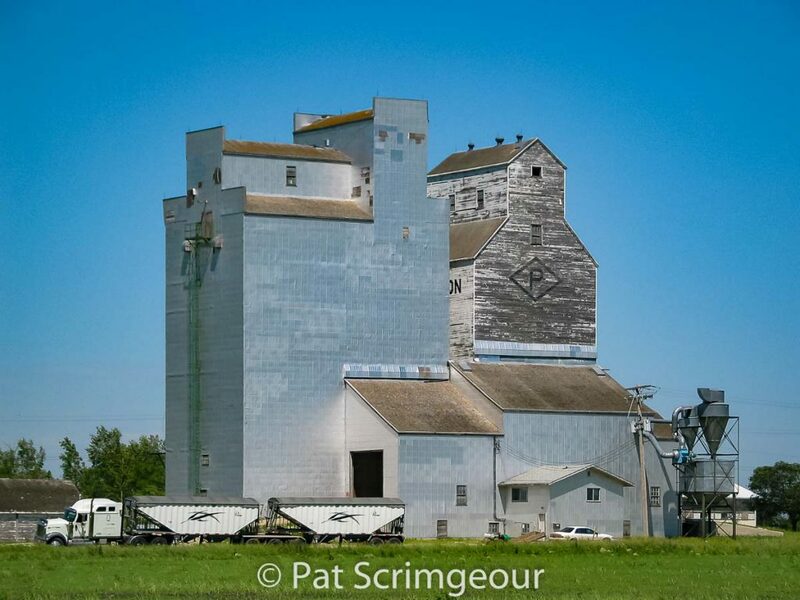 Many thanks to the book “Kane – The Spirit Lives On” for the details on the Kane grain elevators.